Grocery stores and pharmacies are stocked with row upon row of human vitamins. With so many options for us, it is completely logical that we wonder if our pets might benefit from some of these vitamins, too. But do dogs actually need vitamins? Are there any risks associated with dog vitamins? 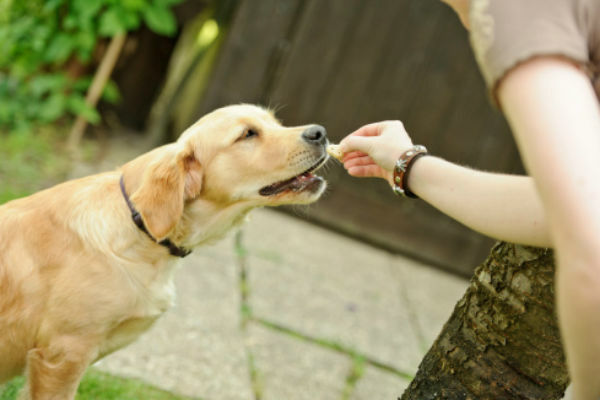 What vitamins should you give your dog? If you’ve been asking yourself these questions, we have the answers. Vitamins are organic compounds that are necessary to sustain life. Most are found naturally in food. Animals' bodies need vitamins for growth and maintenance. Dogs need these vitamins, too, although it is very important that we realize they may need them in different amounts than we do before we go popping them supplements. Vitamin A, in case you’ve ever wondered, is the vitamin in carrots that is responsible for that good vision your parents promised you. This fat-soluble vitamin is also responsible for growth, fetal development, immune function, and cell function. The B vitamins are a group of important vitamins that play a role in your dog’s health. Thiamine helps regulate energy and carbohydrate metabolism, and activates ion channels in neural tissue. Riboflavin, B12, and niacin help facilitate enzyme function. Vitamin B6 is especially vital. This vitamin is responsible for glucose generation, red blood cell and nervous system function, hormone regulation, immune response, niacin synthesis, and gene activation. Pantothenic acid helps with energy metabolism. Folic acid plays a role in amino acid and nucleotide metabolism and in mitochondrial protein synthesis. Vitamin C is an important antioxidant. It scavenges potentially harmful free radicals in the body and can help reduce inflammation and cognitive aging. Dogs can actually synthesize vitamin C on their own in their livers, but in some cases supplementation may offer health benefits. Vitamin D, or the “sunshine vitamin,” allows your dog’s body to balance minerals like phosphorous and calcium for healthy bone growth. Without it, your dog would not be able to develop properly or maintain healthy muscles and bones. Vitamin E is one of your dog’s defenses against oxidative damage. This fat-soluble vitamin is also essential for cell function and fat metabolism. Deficiencies can lead to eye and muscle degeneration and reproductive problems. Vitamin K is a fat-soluble vitamin instrumental in activating your dog’s blood's ability to clot. Ingestion of certain rat and mouse poisons inhibit dogs' ability to use the vitamin K in their bodies, which leads to hemorrhaging and death if not treated. Choline is a necessary component of the phospholipid cell membrane. It supports healthy brain and liver function, and is occasionally used as part of a treatment plan for pets with epilepsy. Your dog gets his vitamins from his food. Commercial dog food diets labeled “complete and balanced” are specially formulated to contain all of the vitamins, minerals, and nutrients your dog needs. Foods catered toward different life stages, like puppy food, adult food, and senior food, contain different levels of certain vitamins, depending on the requirements of that life stage. 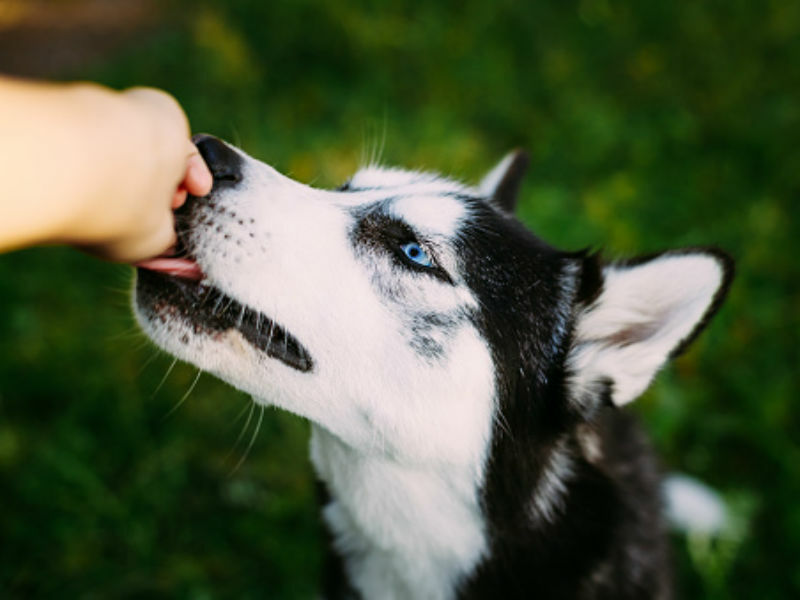 This is especially important for large breed puppy foods, as these breeds can develop diseases, such as hip dysplasia, if their food contains vitamins and minerals, like calcium, that make them grow too quickly. Dogs fed an appropriate commercial diet should not require vitamin supplements unless recommended otherwise by a veterinarian. Dogs fed a homemade diet, on the other hand, may require supplements to ensure that they are getting enough vitamins with their meals. However, these vitamins should be given to match the diet, according to veterinary nutritionist Susan Wynn, DVM, in an article for WebMD. Simply feeding these dogs a vitamin with dinner is not enough. Are There Risks Associated With Dog Vitamins? Vitamins are absolutely vital to life. It should not surprise us that something so essential could also be potentially dangerous in large quantities. You already know that too much of the mineral calcium can cause skeletal problems in large breed puppies. You might not know that vitamins can cause problems, too. Too much vitamin A can cause dehydration, joint pain, and can even harm your dog’s blood vessels. On top of that, there are very few studies that have tested the long-term safety of dog vitamin supplements, and some supplements contain other ingredients, like herbs, that can interact with certain medications. You can avoid these risks by working out a nutritional plan with your veterinarian. The best way to choose a dog vitamin is to talk to your veterinarian about what, if any, dog vitamin supplements your dog needs. According to professor Tony Buffington, DVM, PhD, “most people are doing it because they want to, not because it is necessary,” when it comes to giving dogs vitamins. There are exceptions to this rule. If your dog needs vitamins, either to complement his homemade diet or because of a medical condition or deficiency, then you need to make sure that your dog gets the appropriate vitamin supplement. Talk to your veterinarian about the appropriate vitamin dosage for your dog. Human vitamins often have different concentrations of vitamins than vitamins specifically made for dogs, and may even contain additives that are harmful to dogs. This means you should stick with a veterinary vitamin supplement or one specifically made for dogs, and you should always check the label to make sure the vitamin contains the appropriate amount of the vitamins your dog needs. Your vet may even recommend supplementing your dog’s diet with specific fruits and vegetables, instead of vitamin supplements, according to Dr. Wynn. Vitamins are some of the building blocks of dog health. Feeding a good quality dog food is the best way to ensure your dog is getting all of the vitamins he needs, but if you have any questions about vitamin supplements, make sure to talk to your veterinarian.